Connect with SEBLOD community and get involved with the project. 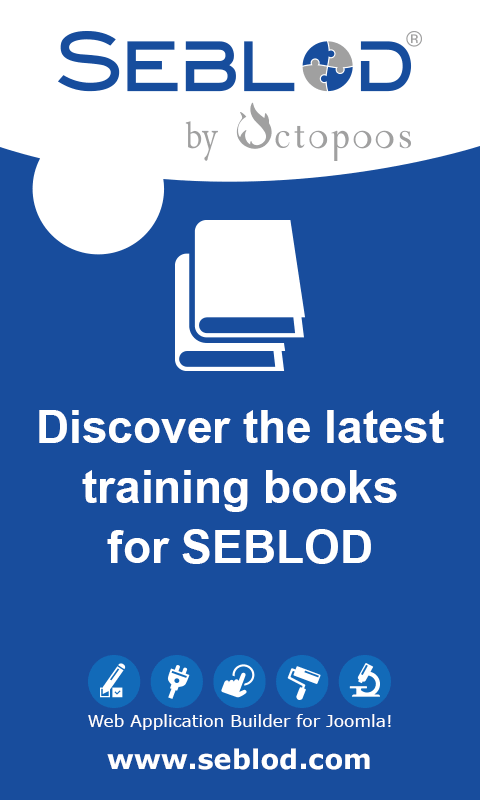 Connect with SEBLOD community and contribute to the blog, forums and showcase. 5 years ago Octopoos published an article on the Blog. 5 years ago Octopoos added an event on the Calendar. 5 years ago Octopoos shared 12 videos on the Videos section. 5 years ago Happy New Year 2014 !